As you all know that After Tez , PhonePe is the No 1 UPI based app . In the ending of June month, PhonePe gives us Rs 2000 cashback with Goibibo hotel. Now you are interested to know about the offer and how to get that cashback. Just read & follow the steps which are written below and you can also avail Rs 2000 Cashback instantly. PhonePe Latest Hotel Booking June Cashback Offer : How to Get Rs 2000 instantly? From 20th June, 2018 (17:00:00 Hours) to 25th June, 2018 (23:59:59 Hours). 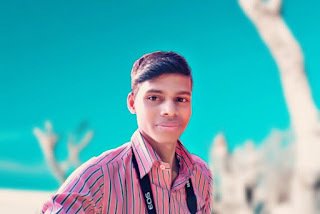 ★ Payment to be made through BHIM UPI, Debit Card or Credit Card. ★ For users paying through BHIM UPI, cashback is valid on transactions initiated and completed on PhonePe using a PhonePe linked bank account. How many times this offer can be availed? How do you avail the offer? Also Read :102 Productive Apps to Change Your Life in 2018 ! ★ Click on pay to complete the transaction. When do you get the cashback? Cashback will be credited as PhonePe gift voucher balance within 24 hours of successful completion of the transaction. What happens if you are eligible for more than one offer? If you are eligible for more than one offer, the offer giving you the maximum Cashback is automatically picked up for you. What happens in case of refund/cancellation of your order? 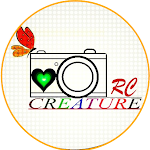 Myself RC Sahoo, founder of "RC CREATURE" . I am a Tech Geek. I love writing articles about Tech Tips-Tricks, Top 5 Gadgets, Tech News, Reviews specially. Honor View 20 Pro vs Huawei Nova 4 : Which one you should buy? ASUS Zenfone Max Pro (M2) vs Xiaomi Redmi Note 6 Pro : Winner goes to ?